This is a follow-up on the Plus Minus Voting activity. It creates a visual tool for the marked items according to its total score (from the lowest to the highest). 1. Create an axis as per the figure below (<- minus – zero – plus ->). 2. 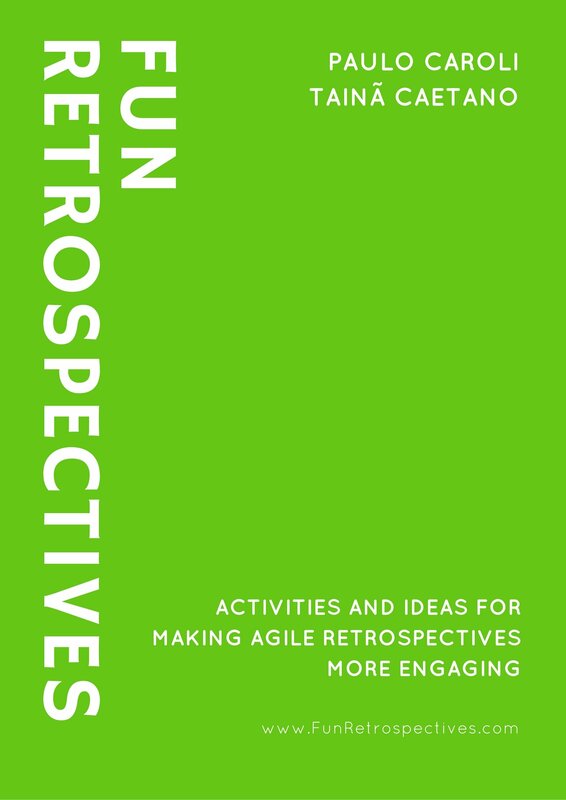 Ask the participants to place the marked post-its (from the Plus Minus activity) on the axis as per their total score (e.g., 4 + and 1 – have a score of 3). 3. Discuss with the group about the items. Note that the items with + and – on it represent items in which the participants have different opinions. I find this activity specially useful for cleaning up the canvas. 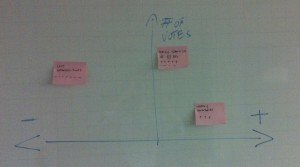 The post-it with most votes are picked up and moved to a new place. By doing this, the participants are naturally filtering out the notes. 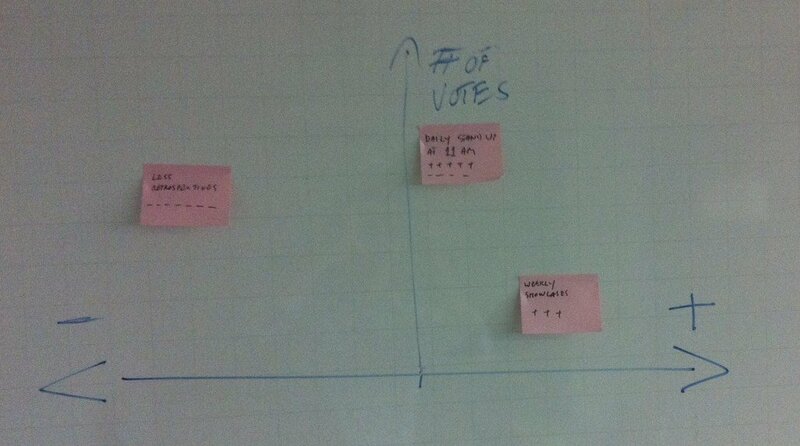 Some colleagues have added an extra dimension (an Y axis) for counting the total number of votes (picture below).